Dreams from My Real Father is the alternative Barack Obama "autobiography," offering a divergent theory of what may have shaped our 44th President's life and politics. At age 18, Barack Obama admittedly arrived at Occidental College a committed revolutionary Marxist. 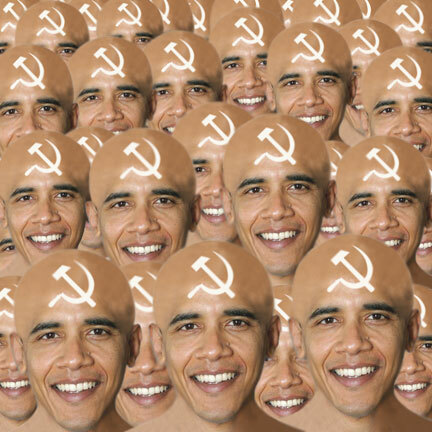 What was the source of Obama's foundation in Marxism? Throughout his 2008 Presidential campaign and term in office, questions have been raised regarding Barack Obama's family background, economic philosophy, and fundamental political ideology. Dreams from My Real Father is the alternative Barack Obama "autobiography," offering a divergent theory of what may have shaped our 44th President's life and politics. In Dreams from My Real Father, Barack Obama is portrayed by a voiceover actor who chronicles Barack Obama's life journey in socialism, from birth through his election to the Presidency. The film begins by presenting the case that Barack Obama's real father was Frank Marshall Davis, a Communist Party USA propagandist who likely shaped Obama's world view during his formative years. Barack Obama sold himself to America as the multi-cultural ideal, a man who stood above politics. Was the goat herding Kenyan father only a fairy tale to obscure a Marxist agenda, irreconcilable with American values? This fascinating narrative is based in part on 2 years of research, interviews, newly unearthed footage and photos, and the writings of Davis and Obama himself. Dreams from My Real Father weaves together the proven facts with reasoned logic in an attempt to fill-in the obvious gaps in Obama's history. Is this the story Barack Obama should have told, revealing his true agenda for "fundamentally transforming America?" 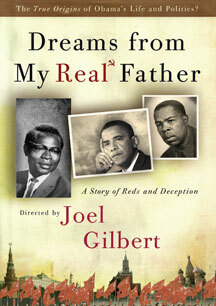 Director Joel Gilbert concludes, "To understand Obama's plans for America, the question is 'Who is the real father?'"